Adrian Delia’s explanations about his involvement in laundering proceeds from a Soho prostitution ring have evolved with time. Beneath the blanket categorical denial that he actually committed any wrongdoing, explaining away the details that have emerged has evolved as we became more aware of them. At first his answer to Daphne Caruana Galizia, who broke the story, was quite simply: ‘there is no Jersey bank account’. That worked only until a document emerged that proved there had been. His explanation then became ‘I don’t remember it’. When news emerged that the FIAU was looking into suspected money laundering he wanted everyone to have the impression the investigation was a figment of someone’s imagination. Then two days ago he got questions from The Sunday Times and he delivered a press conference yesterday presumably to pull the rug from under The Sunday Times’s feet. At that press conference Adrian Delia spoke about documents that The Sunday Times made no reference to whether in their questions to him or in their report of this morning. He said he was made aware of those documents “by someone” and they bore a forged version of his signature. He also said those documents “were used for transactions”. Now then it seems that Adrian Delia remembers more about what happened when he practiced as a lawyer for the Bajadas 15 years ago. That’s because his hints yesterday confirm that transactions have indeed occurred. If those transactions required his signature – whether forged or authentic – they will have been transactions out of accounts in his control or into them. Let’s please understand this very, very clearly. 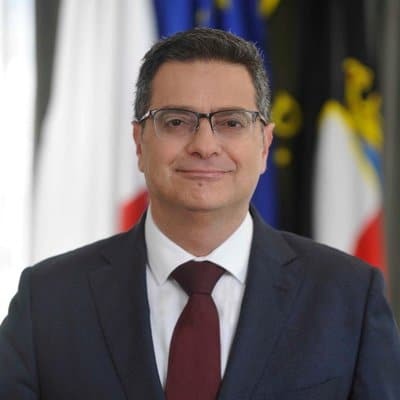 Adrian Delia yesterday effectively declared that documents he was never aware of because he never signed them paid money into accounts in his name or paid money out of them. And is it only now, 15 years later, that he asks the police to look into this? Was money taken away from him or paid to him 15 years ago into accounts that two years ago he denied even existed until he remembered to forget them? As with all money laundering cases, particularly evidence that emerges 15 years after the fact, this will be extremely difficult for any law enforcement agency, however zealous and eager, to prove in a court of law. But as with every politician, their own declarations in reaction to evidence they are confronted with, is fundamentally crucial to allow us all to make a political judgement. Why is Adrian Delia changing his version of events? Why is his story changing? And why is it now, for the first time, that he is actually volunteering more information than journalists confronting him have shown him they have? Who is this “someone” who has let Adrian Delia know there exist documents bearing his signatures that “were used for transactions” that appear, by Adrian Delia’s implicit account, to prove money laundering has indeed occurred? Has someone breached confidentiality rules and tipped off Adrian Delia? Also why haven’t we seen these documents bearing Adrian Delia’s supposedly forged signatures? Is Adrian Delia publishing them? The Sunday Times don’t appear to have them and we’ve only ever heard of these documents from Adrian Delia himself. So why is Adrian Delia submitting himself to Chinese torture? Why doesn’t he let us see what transactions these forged signatures enabled? Because then the question will follow. If these signatures enabled disbursements from accounts in his name that are of material nature, why did Adrian Delia not notice money was taken away from him before now, 15 years later? I don’t know what Adrian Delia considers as material … do these documents show he was made poorer by Lm50? Or by Lm500? Or by Lm5,000? Or by Lm50,000? At which point does it become too much? Or if these supposedly forged signatures enabled deposits into accounts in his name of a material nature, why did Adrian Delia never realise he was richer than he thought he was before now? When does one become curious about any strings attached to unasked for manna? At his press conference yesterday Adrian Delia said he thought it was suspicious that “someone” told him about the documents with his forged signatures at around the same time The Sunday Times asked him questions about an FIAU report into the same transactions. The implication is the government is managing the investigations into his affairs and leaking them tactically to damage him politically. Yep. He got that one right. Of course they’re using this to hurt him. And they’re using it to hurt something far bigger than he is: the prospect of a democratic Opposition policing their own corruption and money laundering. The PN is calling supporters this morning to rally in Mellieħa around their leader at 10:30am. That’s what the PN has become: a brand for an autocratic populist who justifies his own political permanence on the back of the determined and angry and loud applause of his supporters. So Adrian Delia enjoys the support of a hard-core bunch of several thousands. That was never in doubt and today we’ll see dramatic footage on Net TV of a besieged support base excited about the opportunity of martyrdom for the flag. But it will not take away the fact that the leader of the Nationalist Party is someone who can’t shed the persistent allegation that he profited from the exploitation of women in a London underworld prostitution ring. Some lawyers do that. They do dirty work for criminals allowing themselves the moral way out by not asking too many questions about where the money they are handling is really coming from. They accept the explanation that irregular and unequal payments of cash from one-bedroom Soho apartments are coming from ‘rent’ rather than paid for, involuntary sale of human bodies. They tell themselves that whatever money they handle for their clients, they are not expected to be investigators and if they close one eye, or two, their consciences can be washed in their swimming pools and holidays in Swiss chalets. But those lawyers don’t try to become Prime Ministers. Their squinty eyes do not work so well in campaign pictures. Adrian Delia is right: the government is using his past to damage him. But he is too immodest to realise that this is not about damaging him at all. This is about using him to damage the PN, that Labour has spent the last hundred years fighting, only rarely successfully, and has now found the way of destroying altogether.